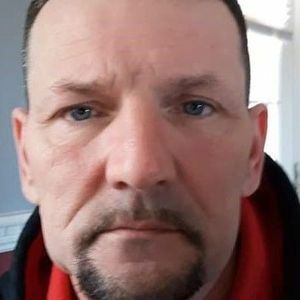 Obituary for Curtis W. Bryant, Jr.
Curtis W. Bryant, Jr., 48, of Sheffield Lake passed away Saturday, April 13, 2019. He was born April 22, 1970 in Elyria. Curtis was a great dry wall finisher, Steeler's fan, fisher, and gambler. He had a great heart and loved his family, including his dog, Sissy. He is survived by his daughters Jessica Hall and Renee Hall; Florence "Angel" Hall, mother of Jessica and Renee; sisters, Jeannine Bryant (Alva Easterly), Cathy Bryant (Russ Roig); brother, Columbus Bryant (Mandi); finance Jennifer Frost. He was preceded in death by his mother, Charlene Bryant; father Curtis Bryant, Sr.; sister, Eva Bryant. Add your thoughts, prayers or a condolence to Curtis' guestbook.